MSgt. Thomas Jackson McCrorie, USAF Ret. 67, of Hanahan, SC, husband of Maureen Ludlum McCrorie entered into eternal rest Monday, January 7, 2019. His Funeral Service will be held Friday, January 11, 2019 in the J. Henry Stuhr, Inc., Northwoods Chapel, 2180 Greenridge Road at 2:00 pm. Interment will follow at Carolina Memorial Park. The family will receive friends Friday one hour prior to the service. Thomas was born July 31, 1951 in San Angelo, TX, son of the late Leonard Wesley McCrorie and Doris Bullock McCrorie. After retirement with the United States Air Force he worked as a Chemical Operator at Solvay. He attended Aldersgate United Methodist Church. 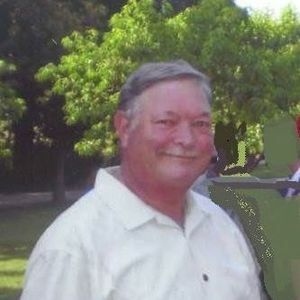 He is survived by his wife, Maureen; two sons, Thomas Wesley (Becky) McCrorie of Mabelton, GA and Matthew Housand of Hanahan, SC; two daughters, Nicole (Travis) Martin of Mabelton, GA and Jennifer (Mark) Dawson of Summerville, SC; grandchildren: Abigail McCrorie, Caleb McCrorie, Luke Dawson and Jack Dawson; two brothers, David (Candy) McCrorie and Ken (Alice) McCrorie and sister-in-law,Verlene Bradshaw all of Charlotte, NC. He was preceded in death by his brother, Gerald McCrorie. Memorials may be made to"Neighbors Serving Neighbors Campaign" Aldersgate United Methodist Church, 1444 Remount Road, North Charleston, SC, 29406 . I am praying for you and your family during this time of sorrow. May God Bless and Keep You All. So very sorry to learn of Tom's passing. Praying for you Maureen and all the family. My sincere sympathy goes to Maureen and family. Tom and I worked at Rhodia. He was a very kind and humble person. You will be missed more than you'll ever know. I promise my boys will always remember their Papa, even if it is when they hear bagpipes they think of you or when they are acting silly and playing, I hope they hear you laughing. Thank you for loving me because you wanted too, not because you had too. We love you, Tom! Please accept our heartfelt sympathy on the passing of your loved one. Your family is in our thoughts and in our prayers. Mayor Christie Rainwater, Joel Hodges, Jeff Chandler, Dan Owens, Mike Dyson, Michael Sally and Kevin Hedgpeth. Maureen & family - prayers of comfort for your loss. Maureen my heart, thoughts and prayers are with you....so sorry for your loss. My precious Maureen and family, so sorry to read about Tom. Please know that my thoughts, love and prayers will be with you and your family during this difficult time. So sorry to hear about Tommy, prayers for the family. Life Stories provides friends and families a forum to post their favorite stories and memories of MSgt. Thomas Jackson McCrorie, USAF Ret ensuring the precious experiences are never forgotten. Share joyful times, post a photo that captures the moments you cherish, and allow others to reply, relive and remember.